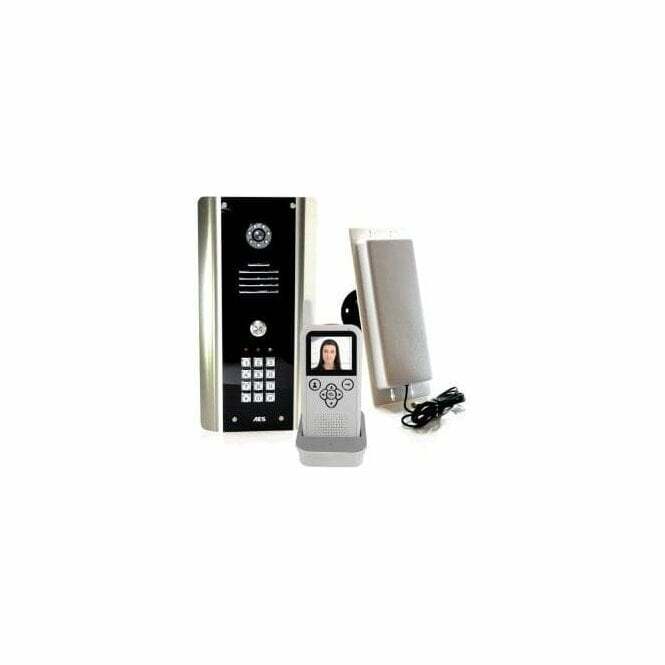 The AES 605-ABK wireless video intercom kit includes a stainless steel intercom panel, with a keypad and black acrylic front trim. 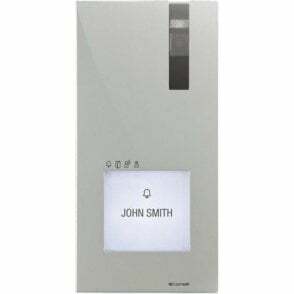 Above the keypad is a high quality stainless steel illuminated button with speech area and a camera with night vision (infrared LEDs). 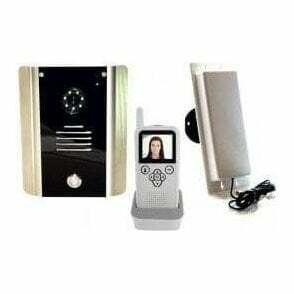 Additionally included in the kit is a 2.5" LCD colour screen and portable handset with intercom functions with features that are easy to use. 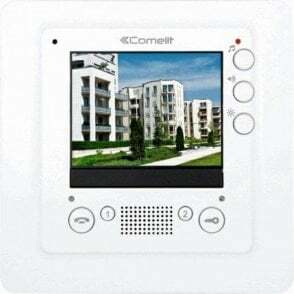 This product is ideal when there is either no cables or unreliable cable between the panel and the property. The 605 wireless system requires power at the panel and a 3 pin plug for the monitor base. The distance between the panel and the monitor can be up to 200 metres depending on the site circumstances. The product is also ideal for those with poor mobility as the video handset is completely portable.